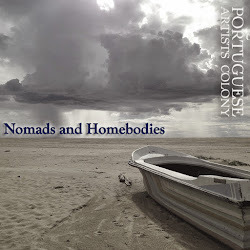 Portuguese Artists Colony is looking for a Producer and Marketer. This may be one fabulous person or two separate brilliant people. - Research and contact potential readers and "live writers" to perform at bi-monthly shows. - Research and contact musicians who can play at PAC shows. - Communicate with guests as the show approaches: gather bios and URLs, let them know what to expect, etc. - Create each show's printed program and supervise printing. - Day-of-show support, including: donations, book sales, room set up, live writing prompts. Our ideal producer will have contacts within the San Francisco literary community, but will be able and willing to look beyond the usual circle of local readers. We love to pair lesser-known but wonderful authors with more well-known authors. We also seek all sorts of diversity: discipline (non-fiction, fiction, poetry, rant), race, gender, orientation, and subject matter. - General promotion of events, and post-show wrap-up. - Monitoring for press about PAC, as well as pictures and videos of shows, for promotion on PAC website. Our ideal marketer will have contacts in the press world and know how to spread the word. Some familiarity with Blogger for light website updating would be lovely. This is a/these are volunteer position(s). No salary is available at this time, but any perks that come our way will be shared. This is, however, an opportunity to take an active role in the Bay Area literary scene and meet our extended circles of artists and writers, and introduce us to yours. If you're already attending readings/live music on a regular basis, this won't require much more of your time - no more than 10-15 hours a month. "PAC is easily the classiest reading series in the city. What is special about this reading is how well the program fits together, and how thoughtfully curated the whole event is. You never once get that, Oh my god, did I just wear a beret to an open mic? feeling. More likely you'll get the feeling that you gained special access to literary pilgrims at work, as they pen swords all over the battlefields of the imagination." Be a part of something beautiful! To find out more, email caitlin (at) portugueseartistscolony (dot) com.